The voters must have taken the number of Derek Jeter fist pumps into account when voting for Gold Glove awards over the past decade. It truly amazes me how much of a joke the Gold Glove awards have turned into. Maybe it’s because I’m biased since there’s sabermetric stats out there that can disprove the eye, but even some of the more traditional fans out there will agree that Derek Jeter shouldn’t be winning Gold Gloves anymore. I mean seriously, the guy hit .270 last year with one of worst OPS figures in his career and he still wins a Gold Glove? If that’s all the offensive production you need to win one of these things, maybe Jhonny Peralta should be considered too. Sarcasm aside, the award has turned into a reputation contest. If Derek Jeter plays next year and puts up even worse numbers, my bet is that he somehow wins the damn thing again. Is there a way to fix it? 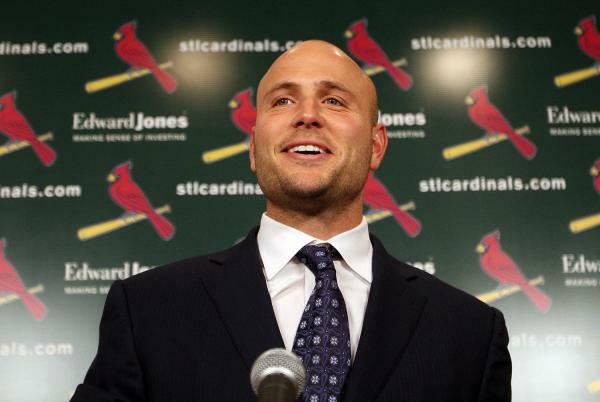 Well, maybe we should start off by making Derek Jeter retire, that might be a good start. The good news here is that Franklin Gutierrez, UZR extraordinaire, finally got awarded for being one of the best defenders in baseball. The voters do get some of these things right, like Evan Longoria, Ichiro, Franklin Gutierrez, Joe Mauer, etc. These guys are some of the best defensive players at their respective positions. However, even if you mess one of these up, people will complain. Are we, the people, being nitpicky? Maybe, but we just want to see justice served. To make myself, and hopefully you, feel better, I’m going to be handing out the Sabermetric Gold Glove Awards today, but don’t get too excited, this post will only contain the AL winners. Catcher: Matt Wieters (BAL) – You may be wondering, why not Joe Mauer? There is no easy answer to this question, as it’s truly hard to defend a catcher’s defense using statistics. There is one statistic though – Stolen Base Runs (rSB). John Dewan’s Plus/Minus (Defensive Runs Saved) keeps track of how many runs a catcher has saved by throwing out base runners. Wieters led the American League in this category in 2010. Mauer finished at -1 in rSB. I have nothing against Mauer, he’s also a very good defensive catcher. But from fan scouting reports and rSB, Wieters definitely had a very good season. Runner-ups: Joe Mauer, Jose Molina, and A.J. Pierzynski. First Base: Daric Barton (OAK) – Daric Barton led all of baseball in first base Ultimate Zone Rating at 12.1. Barton also made a dazzling 51 scoops at 1B, most likely saving Cliff Pennington, Kevin Kouzmanoff, and Mark Ellis from committing numerous errors. He led the league in Zone Rating, as well as plays made out of his zone. With the combination of sure-handedness and range, Barton is one of the premiere defensive first basemen in baseball. Runner-ups: Justin Morneau, Justin Smoak, and Carlos Pena. Kouzmanoff is far from a house-hold name, but statistically speaking, he is one of the best 3B in the AL. Second Base: Orlando Hudson (MIN) – After numerous off-years defensively, the O-Dog stepped up his game after returning to the American League. Hudson and J.J. Hardy helped anchor the Minnesota Twins infield, one of the better best in all of baseball. Hudson’s 9.8 UZR and 17 defensive runs saved are both tops at his position in the American League. Hudson showed incredible range (9.6 range runs and 36 out of zone plays) while showcasing his reliability (2.3 error runs and a .824 zone rating). A close second was Mark Ellis, who actually topped Hudson in UZR. However, considering Ellis had one of the best defensive 1B in baseball to throw to while Hudson had to deal with Michael Cuddyer for half a season, it became apparent that Hudson was more deserving. Runner-ups: Mark Ellis, Dustin Pedroia, and Aaron Hill. 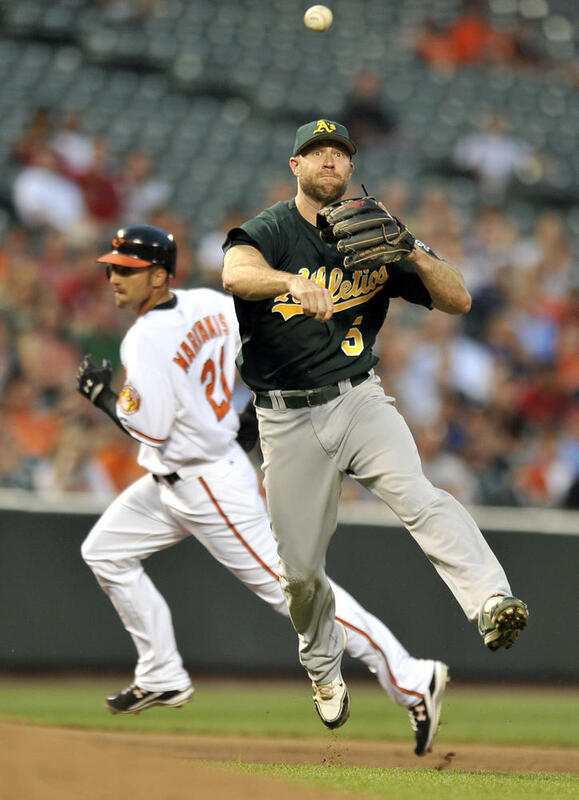 Third Base: Evan Longoria (TBR) – This was one of the hardest decisions to make while writing this article. The American League has three very, very, good defensive 3B. Those three are Evan Longoria, Adrian Beltre, and Kevin Kouzmanoff. To some of you, the first two names make sense, but who the hell is Kevin Kouzmanoff, you may ask. Kouzmanoff led all AL 3B in UZR, about 6 runs better than both Longoria and Beltre. However, DRS said that Longoria and Kouzmanoff were pretty much similar at 13 defensive runs saved. Here is where the reputation game starts. Kouzmanoff is a nobody, I haven’t seen many of his games and I don’t think many of you have either. Thus, I had to get some input. So I went to FanGraphs and found Tom Tango’s fan scouting reports. They read something like this – Longoria was the best of the 3 at a rating of 86 (extremely good), Beltre was second at 77 and Kouzmanoff went last at 58 (still a decent rating). So after some thought, I decided to give the award to Longoria. Slightly biased? Probably, but you can’t go wrong with either of the three. Runner-ups: Adrian Beltre, Kevin Kouzmanoff, and Jose Lopez. 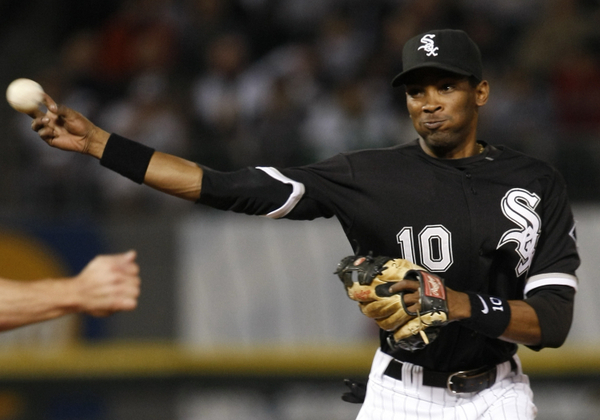 Shortstop: Alexei Ramirez (CHW) – Contrary to the previous award, this decision was one of the easiest. In just one season, Alexei Ramirez transformed himself into one of the best defensive shortstops in all of baseball, if not the best. The Cuban Missile led the American League in Shortstop UZR (10.1) as well as Defensive Runs Saved (16). After being criticized for being inconsistent and somewhat “baseball-stupid”, Ramirez cut down his mental mistakes in 2010 and delivered some of the most amazing range I have ever seen (67 plays made out of his zone). What about the glorious Derek Jeter? Let’s just say he made about half of the out of zone plays Ramirez did and had a UZR that was 15 runs worse. Runner-ups: Cliff Pennington, J.J. Hardy, and Elvis Andrus. Ramirez's strong arm and great range make him one of the best shortstops in the game. Left Field: Carl Crawford (TBR) – This was another tough decision. Gardner or Crawford? Crawford or Gardner? Thank goodness we have the stats on our side. Oh wait, they say these two are pretty much the same. Crawford did lag behind Gardner in UZR by about 4 runs, but DRS said they were virtually the same fielders. The great thing about Plus/Minus is that their components are easier to see and understand. Crawford had a lot more balls hit to him in his zone (263 as opposed to Gardner’s 168). Crawford also had a better zone rating, put two and two together and the answer is that Crawford had more chances and also capitalized on those chances at a better rate. Making him a lot more valuable to the Rays’ defense than Gardner was for the Yankees. Therefore, Crawford is the victor, but only by a tiny margin. Runner-ups: Brett Gardner, Juan Pierre, and Josh Hamilton. Center Field: Franklin Gutierrez (SEA) – Like the case with Crawford and Gardner, Gutierrez did not lead the AL in center fielder’s UZR. Julio Borbon did and Coco Crisp was a close second. Gutierrez was third, but that’s not the entire story. Gutierrez was one of the best in DRS and he had by far the most amount of fly balls hit to him (Seattle had lots of fly ball pitchers). His zone rating and out of zone plays also weren’t extremely staggering. All in all, this was a great year for American League center fielders, but Gutierrez’s reputation and talent almost makes some of the UZR and DRS data pointless. For example, Coco Crisp was second in UZR in CF, but he only played about a half of the innings Gutierrez played. Julio Borbon led the AL in CF UZR and he only played there for 1000 innings. Therefore, some of that data could be flawed based on sample size. Say whatever you like, but I just have to give the award to Gutierrez. Runner-ups: Julio Borbon, Austin Jackson, and Alex Rios. Austin Jackson's great rookie campaign was aided by his great defense in center field. Right Field: Ichiro Suzuki (SEA) – We’re almost finished, but we’re not quite there yet. Can you imagine watching Gutierrez and Ichiro playing defense in the same outfield? I’m jealous of Seattle fans sometimes, but then I remember their inability to score runs and erase that idea completely out of my head. Ichiro, at the old age of 36, was still able to cover a lot of ground (17 range runs) and make a number of great plays (95 out of zone plays). The future hall-of-famer ended the season with an impressive 15.6 UZR and +12 DRS, both tops in the AL at his position. Runner-ups: Nelson Cruz, J.D. Drew, and Ben Zobrist. There you have it. By my count, the actual voters got the entire outfield correct, but they definitely didn’t do a great job of evaluating the left side of the infield. 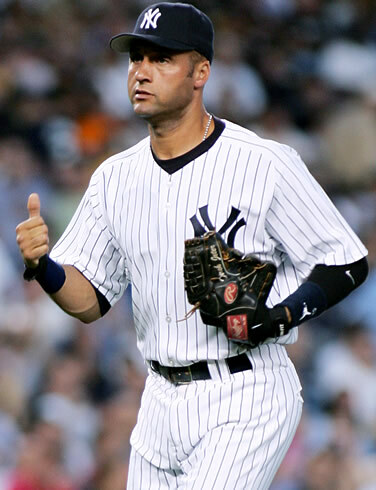 Plus, let’s not forget about our buddy Derek Jeter. Hopefully, the Gold Glove awards can mean something again in the near future. Until then, I hope these selections can keep you sane. The NL edition will be coming up shortly. Note: My opinions are not the opinions of every writer here at Pine Tar and Pocket Protectors. If you have hate mail or just want to make fun of me for using nerdy stats, please send all hate mail to BaconSlayer09.